what a great idea love your ideas here thought saying something cause i come here a lot.I love your blog. Absolutely genius! 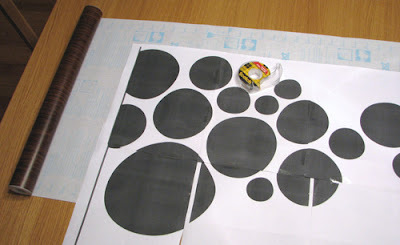 I love it, a cheap way of creating vinyl decals without needing a plotter! I will definitely use this idea when I move this weekend! cute cute cute! seems so obvious when you post it, but i would've never have thunk it! Smart! You are so creative! Your brain must work overtimes! You should award your brain some food it craves, maybe some chocolate or icecream? Ah, two things I dearly love. I'm drinking a latte right at this moment, so my brain is happy. Hello, other commenters. Hugs to you too, Ginger. hey jessica- love the tut. and I love the little icon you have for your address now int he address bar... very cute. you should post a tut on how to do those. Geez, Love the easy dots idea? what? No orange? Oh darn that's a cute idea. We move into our new condo this weekend and I want to spiff it up and decorate asap. For cheap. This will be the ticket! Cute idea and super easy! what fun! this would be a great project to tackle for my dorm room! i think i have the same vase as you but slightly different! I once revamped a shade using black and white cotton fabric and interfacing. First I ironed on interfacing to the fabric. Then I ironed the fabric onto the shade and trimmed the edges. It worked out pretty well because I always kept the shade in one position...pulled down. I'm not sure how happy I would have been with the results if I changed the position of the shade on a regular basis. So cute! It gave that curtain some "personality"...love it! Thanks for all the great ideas. I have an award for you. Visit my blog. Oh my gosh! 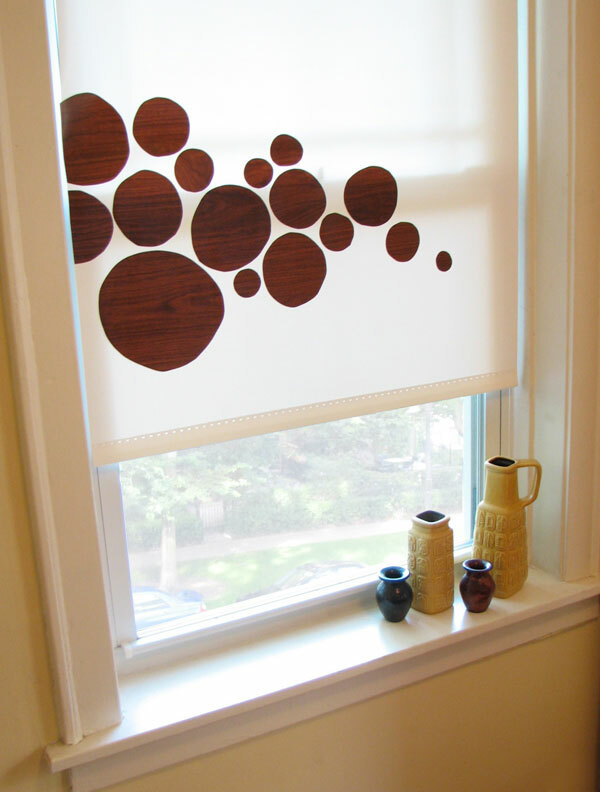 I've been looking and looking for some window treatment ideas. Thanks so much! Pretty interesting site you've got here. Thanks the author for it. I like such themes and anything that is connected to this matter. I definitely want to read a bit more soon.